The importance of how the esse and bene esse of the church works, and how lawful ordination, ministerial succession and Presbyterian Church government fits into ecclesiology. There have been great waves of discussion about the consequences of lawful ordination, church government and ministerial succession on the Puritanboard over the last two years. Some conclusions in those discussions seem to “push the envelope” to places where most would not like to tread, or think others are in serious error. Personally, I have written one article on this subject that has (in my opinion following the Westminster Presbyterians) some devastating consequences to Independent church Government and its ability to hold to lawful ordination and ministerial succession. However, in wrapping up key ideas on this subject, there are certain concessions that need to be made in order to place the consequences of lawful ordination and a claim to ministerial succession in a proper light without pushing logical consequences to places that they cannot theologically go without disrupting the peace of Christ’s visible Church. Also, the article that I had previously written was tweaked slightly to set these categories in a more soundly biblical and confessional view. There are three areas that have been discussed 1) Ministerial Succession over and against Apostolic Succession, 2) Lawful Ordination of Elders, and 3) the Form of Presbyterian Church Government as superior and divinely appointed over and against Independency and other forms of government. The arguments that have been made go something like this: lawful ordination can only be accomplished by the laying on of hands of the eldership (1 Tim. 4:14). Lawfully ordained elders are the only ones who can dispense the sacraments, and preach, and ordain other elders. This begs the question of ministerial succession which teaches that a constant line of doctrinally sound ministers, and lawfully ordained ministers coming from the line and authority of the apostles are the only ones who are able to ordain others to the ministry. The Apostle Paul ordains elders in Ephesus, those elders ordain others, and so on. This in turn begs the question of Presbyterian Government being the governmental structure of the early church, as well as the Reformation and subsequently of the Westminster Standards, and that historical precedence demonstrates the invalidity of all other forms of government. The consequence to this “logic” is that ministerial succession, being true, validates Presbyterianism as the one true visible church, and invalidates all other churches as false churches. On the flip side of the coin, other people (some who are even ordained Presbyterians) have arguments against this view having difficulty with this analysis, and their rebuttal goes something like this: following ministerial succession leaves a number of practical considerations left undone since, as we know, it is impossible to find a complete and unschismatic trail leading from our own day, and various Presbyterian denominations, back to the time of the Reformation, and subsequently back to the original Apostles. In essence, if this “ministerial succession” thinking is correct, then we are left today without a visible church, though that line of thinking “may” be doctrinally sound. If ministerial succession is true, and lawful ordination attached to succession in this way gives rise to a solid, unbroken line throughout church history, we will never be able to find it and thus, we are left without a true church today. Also, such thinking is not in line with the Westminster Confession of Faith where it says, “This catholic church hath been sometimes more, sometimes less visible. And particular churches, which are members thereof, are more or less pure, according as the doctrine of the gospel is taught and embraced, ordinances administered, and public worship performed more or less purely in them.” Also, it would seem to violate the nature of the visible church as outlined in the Westminster Confession of Faith when it says, “The visible church, which is also catholic or universal under the gospel (not confined to one nation, as before under the law), consists of all those throughout the world that profess the true religion; and of their children: and is the kingdom of the Lord Jesus Christ, the house and family of God, out of which there is no ordinary possibility of salvation.” If non-Presbyterian churches are not true churches, then there are no visible churches on the entire planet today. Thus, ministerial succession cannot be valid. This is what they say against the former arguments. On the Ministerial Succession side, these Presbyterians attempt to prove that what the Westminster Confession of Faith meant (by the above quotes on the visible church) was what they further commented and wrote down in works such as Jus Divinum, and other Westminsterian documents that hold great weight in the argument for Divine Right. On the other hand, the second group of Presbyterians cannot see how the Westminster Confession of Faith can say one thing, and yet mean another thing. The Confession cannot say “all that profess the true religion” are churches, and then write, “There be only two sacraments…neither of which may be dispensed by any, but by a minister of the Word lawfully ordained.” If only a minister who is lawfully ordained can dispense the sacraments, and the marks of a true church include the “right administration of the sacraments” then how do we reconcile these views and/or correct our thinking? These views seem incompatible. How, then, shall the visible church be defined in its esse if it cannot be defined by external organizational markers? This is not to say that the visible church cannot be seen – it certainly can be seen. But as the Westminster Confession of Faith says, it is “sometimes more, sometimes less visible.” Based on its well being, the Church may be more or less visible due to the manner in which ecclesiastical ideas and external organizations are implemented, or not implemented. Yet, defining the church in its essence is different than assigning it external markers. Calvin, in his work, The Necessity of Reforming the Church, says that churches are to be determined by three marks, “Let there be an examination of our whole doctrine, of our form of administering the sacraments, and our method of governing the Church; and in none of these three things will it be found that we have made any change upon the ancient form, without attempting to restore it to the exact standard of the Word of God.” In “governing” the Church Calvin was referring to church discipline. Under sound doctrine he meant “All our controversies concerning doctrine relate either to the legitimate worship of God, or to the ground of salvation.” Thus, the three marks turned into 1) sound doctrine, 2) the right administration of the sacraments, and 3) the right administration of church discipline. If these marks do not exist, then the Reformation, and subsequently the second and third generation reformers, did not believe a church was a true church. Such criteria excluded the Roman Church for example. This is followed by the Confession when it says, “the visible church, which is also catholic or universal under the gospel (not confined to one nation, as before under the law), consists of all those throughout the world that profess the true religion.” This “true religion” is bound up in the marks of a true visible church. This is the esse of the Church. Thus, the visible church, as the Westminster Confession of Faith states, should be defined as “all those throughout the world that profess the true religion.” Today, other denominations state the same: The OPC Book of church order says, “The visible unity of the Body of Christ, though not altogether destroyed, is greatly obscured by the division of the Christian church into different groups or denominations. In such denominations Christians exercise a fellowship toward each other in doctrine, worship, and order that they do not exercise toward other Christians. The purest churches under heaven are subject both to mixture and error, and some have gravely departed from apostolic purity; yet all of these which maintain through a sufficient discipline the Word and sacraments in their fundamental integrity are to be recognized as true manifestations of the church of Jesus Christ. All such churches should seek a closer fellowship, in accordance with the principles set forth above.” The PCA book of Church order says “This visible unity of the body of Christ, though obscured, is not destroyed by its division into different denominations of professing Christians; but all of these which maintain the Word and Sacraments in their fundamental integrity are to be recognized as true branches of the Church of Jesus Christ” (2:2). A biblical church revolves around a profession of “true religion,” and this outline, or what the early church called the regula fidei, has been continually adhered to throughout the history of the church, by the Reformation, and subsequently the same teachings of Augustine and the early church. It is this “true religion” divided into the three marks that remain a constant anchor for us to turn to as that which defines the foundation of the visible church. Without those three marks, a church is not a true church. Without those three marks, or the absence of one of those three marks, a church is a false church. The external organization of the church, such as lawful ordination, ministerial succession, and Presbyterian form of Church Government, belong properly to the visible church in its bene esse, or well being. Some will say, “But this does not make sense to me if “laying on of hands of the eldership” is of the esse of the church. Doesn’t Paul say that laying on of hands is how ministers are made, and wouldn’t this be part of succession?” I am sympathetic to the argument, but the argument cannot stand in light of the theological question to be raised surrounding Christ’s failure to bring about His church. Christ has not failed, but this line of reasoning necessarily causes Christ to fail in establishing His church. Here, a distinction between the esse of the church and the bene esse of the church must be maintained. Ministerial succession in this respect cannot be said of the visible church as its foundation (as the extreme Romanists say), nor can it simply be tossed away (as some Independents say). However, ministerial succession or lawful ordination has nothing to do with the essence or being of the church in this regard. Here is why: the essence of the church is primarily a theological question divided into two areas – 1) the power of Christ to establish His visible church, and 2) the fact that ministerial succession and lawful ordination are only important around a specific brand of church government. Thus, under the first point, Christ would fail to build His church if it, at any time, ceased to demonstrate the external marks of a given external organization. This leads into the second point which states that ministerial succession and lawful ordination only mean something in its esse if there is an unbreakable line from the Apostles, and a consistent form of specific government from that time until now. On both these counts such an idea fails miserably as founding the esse of the visible church. Why? After the 4th century AD, the early governmental form of Presbyterianism ceased to practically exist, and the government of the church turned Episcopalian. This later turned to high Prelacy that ultimately gave way to the dictatorship of the Roman Pontiff and the Roman Catholic Church. If external organization is the mark of a true church (esse) and if Presbyterianism is the “true external mark,” then after the 4th century the church of Jesus Christ ceased to exist as so defined. Presbyterianism would not again be revived until the time of the Reformation and the Reformed Churches (1100 years later), and ultimately solidified through Westminster and Scottish Presbyterian confessionalism. It is an impossibility to say that Jesus Christ did not accomplish His goal to build His church, and, ipso facto, failed in doing so. If one holds that ministerial succession is bound up in “THE” mark of the established church, and that this is exemplified in any external organization of the church by men, such as in Presbyterianism or Independency, then Christ fails to accomplish His promise, and the gates of hell prevail against His church. Theologically, then, this is impossible. If, however, we define any of the external marks of the church as part of the well being of the church, and it’s well ordering, then that is another discussion altogether. For example, as a Reformed Minister, I can comfortably say that an Independent congregation is not Presbyterian in its external organization or in the fundamentals of its doctrine surrounding ecclesiology. Being “Presbyterian” in ecclesiological markers meant something specific to church history and to theological formulations. I can say, as a Reformed Ministerthat a Congregational church that rejects these things is not those things. They are something else. But I cannot call them a “false church” or “not a church” simply because their organizational or ecclesiological markers are not present as they should be for its well being. I must, then, concede that all churches who “profess the true religion” are in fact “true churches.” This does not, in any way, discount Ministerial Succession, lawful ordination, or church government as God so revives them throughout the centuries. Such things are for the well being of the church. Without them, the Church is invariably sick. These things are still very important and utterly important. this sickness, though, may even infiltrate the well-being of the church, where ministers do not actually contend for the faith once delivered, and thus, even more Congregaitonal churches wind up being more healthy than many Presbyterian denominations that water down their confessions, or enter into more liberal and heretical doctrine. such acts exclude them from actually being a Reformed Church. How important is church government in this regard for the well being of the Church? The Westminster Assembly spent much of its time in deliberations around aspects of church government. In the Assembly there were Erastians, Independents, Presbyterians, and others, all attempting to overthrow one another to press their particular form of government for the establishment of the Reformed Religion throughout England, Ireland and Scotland. After the debates on ecclesiology were over, the Presbyterians had demonstrated that exegetically, Presbyterianism was the form of Government that was duly sanctioned by Christ, and of Divine Right, regardless of how it practically worked out int he life of the church. Over and against Presbyterianism, the Independents vehemently attempted to filibuster the Assembly in hopes of setting forth Independency as lawful church government. The issue was exceedingly critical since the point of both the Solemn League and Covenant and the Westminster Confession of Faith set out to follow “the best Reformed Churches” for the establishment of a true religion and its well being. In other words, the best Reformed Churches could be, according to the Assembly, Reformed, aside from church government. The topic was exceedingly important to all because although the visible church will be established by Christ and His Spirit as “all those professing the true religion” at the same time the well ordering and propagation of the that true religion, and those churches, would be dead set upon the manner in which it was delivered into the entire world. Let me use a crude illustration: when a man sits in a car to get from one place to another, the kind of car he drives allows him to get there faster or slower, more comfortable or not, depending on the kind of car it is. If it is a John Deer lawn mower that he is riding on in the hot sun, it will take considerably longer for him to move from California to Florida, than if he rode in a Lamborghini. In either case, though, whether he is on a lawn mower, or in a Lamborghini, he still remains a man. In this way, or to parallel the illustration, the “man” is the “visible church.” The car is the form of government he is adhering to. This is over simplistic. The debate around Church Government is not as simple as saying one car or vehicle is “better” than another. For the true well being of the church, one form of government is of Divine Right, dictated to the church by King Jesus, and the others are not. 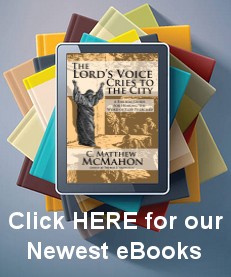 King Jesus tells His Church what kind of car to drive, and all other are inherently sinful. In this context, one form of government is true and biblical, and all other forms are inherently sinful. This does not destroy the visible church; it simply makes it more or less visible through the history of the church. The Westminster Assembly was not ultimately tolerant towards any form of Government except Presbyterianism. For example, George Gillespie said of Independency, “Under these fair colors and handsome pretexts do sectaries infuse their poison, I mean their pernicious, God provoking, truth defacing, Church ruinating, and State shaking toleration.” Gillespie called Independency poison, defacing the truth, and ruining the Church and the Civil Magistrate. The work Jus Divinum: Divine Right of Church Government, written by the Westminster Presbyterians, was penned for the sole reason to reduce the absurd arguments of Independency to nothing, and to set up the Divine Right of Christ in Presbyterianism and lawfully ordained ministers to the utmost degree. Churches that function outside the prescribed governmental structure (the jure divino of Christ) are sectaries and schismatic from the Church of Christ, in his opinion. They were so committed to this thorough going divine right view that they said, “four things that justly deserve to be abhorred by all good Christians: 1) an universal toleration of all religions; 2) an universal admittance of all men to the Lord’s Supper; 3) universal grace, that is, that Christ died equally for all, and that all men have free-will to be saved; and 4) universal allowance of all that suppose themselves gifted to preach without ordination.” Those who preached without ordination were those ordained by congregations regularly to an office that is merely suggestive rather than coercive. They were adamant that such a divine right was given by Christ, and that all other types of church government were “jure humano” of by human right (i.e. will worship). They called the Erastians “perverse spirits,” and Independents “confused,” propagating “anarchy,” and building on a “rotten foundation and a tottering superstruction.” In response to such harsh accusations, the Independents published The Apologeticall Narration, The Reasons of the dissenting Brethren, and other like documents that attempted to sustain their own views. However, the Presbyterians of the Assembly, and the London ministers, as well as the Scottish Commissioners, wrote vehemently against “toleration” and “independency” to stop the spread of anarchy within the visible church. Daniel Cawdry, for example, in his brief tract A Vindication of the Keyes of the Kingdome of Heaven into the hands of the right Owners, says that such independency is simply “men agreeing in error.” There was no shortage of written documents defending Presbyterianism against the “poison,” “errors,” and “anarchy” of the Independents. In all of this, however, one must keep in mind that none of them believed that Independent churches were not true churches that professed the true religion. Instead, they simply viewed the vehicle in which the Independents rode as utterly sinful and wicked, propagating anarchy. This meant that the church that Thomas Goodwin preached in, for example, was still a true church, but was not ordered correctly for its well being. This also brought into question the lawful ordination of the Independents, and demonstrated that there is a fundamental need for ministerial succession as it is warrantable for the right ordering of the church (its well being) but not for the existence of the church (esse). To clarify this, Samuel Rutherford in his work, The Due Right of Presbyteries, says that, “A succession in the church is necessary ordinarily; extraordinarily and in ease of necessary may be wanting. Secondly, we deny the popish succession to be a note of the Church, nor doe we in any sort contend for it.” In other words, succession is necessary ordinarily in the ordinary office of ordained elders, but not necessary for the establishment and continuation of a true church. Rutherford says, “The substance and essence of ordination (as we will see hereafter) consisteth in the appointing of such for the holy ministry by persons in office.” Yet, even though this would be the “ideal”, Rutherford says, “In cases of necessity, election by the people only may stand for ordination where there be no pastors at all.” This is done in cases of “extraordinary necessity” but not something done simply because one desires to plant a church with a number of people. Thus, “the established and settled order of calling Pastors, is by succession of Pastors to Pastors, and Elders by Elders, 1 Tim. 5:22; 1 Tim. 4:14.” Yet, though Rutherford sees this as exceedingly important for the right ordering of the church, he does not see this as essential to the esse of the church. He says, “The special reason against ordination of Elders by Elders only, is weak; and that is, a succession of Pastors must be granted ever since the Apostles times, which is (say our brethren) Popish. This reason is weak, because a succession of Elders and Pastors, such as we require, is no more popish then a succession of visible believers; and visible Churches ordaining Pastors, is popish: but our brethren maintaine a succession of believers and visible professors since the Apostles dayes. Secondly, we deny the nessity of a succession perpetuall, which papists hold. Thirdly, we maintaine onely a succession to the true and Apostolike Doctrine: papists hold a visible Cathedrall succession to the chaire of Rome, and titular office of Peter.” This is the common understanding of the Westminster Standards and those who subsequently wrote tracts and treatises surrounding those documents. The problem arises here, when the Presbyterian form of church government goes wrong, and liberalism infects the church. Could it be, through doctrinal specificity, that denominaitons crumble, and churches must leave, in order to establish the truth of Christ in a setting in which no doctrinal deviancy takes place? Sometimes such ecclesiastical acts occur, and wayward denominations are left in order to worship God more freely. (Such was the very case at hand with the Anglican Church of England, and other church movements like the apsotate PCUSA in America in more recent days). Here, also, a difference must be made between heretics and schismatics. The Westminster Assembly wrote thousands of tracts against Independency and its schismatic nature. They called Independency “evil,” “error,” and provably “schism.” But even though such things are sinful, schism is not the same as saying something is heretical. Heresy is pointed against the esse of the church (the fundamentals of doctrine) and “evil error” is pointed against the well being of the church. Arius, for example, is a heretic for denying the fundamentals of the “true religion” and saying Christ is a created being and not the eternal Son of God. Thomas Goodwin, on the other hand, is a brother in Christ, but is propagating error which hurts the organization and government of Christ’s Divine rule in the invisible church. He is a schismatic. Augustine explains this well in a sermon he gave at a plenary council convened in Hippo-Regius in 393. His subject was Faith and the Creed. The sermon itself made such an impression that he was induced to expand it into the treatise: De Fide et Symbolo. In explaining the article credimus et sanctam ecclesiam, utique catholicam, he reflects on heretics and schismatics as claiming the title of churches for their congregations; and distinguishes between these two opponents of the Catholic body, heretics erring in fundamental doctrine, and schismatics, while similar to the Catholic body in views of truth, transgress in the rupture of fraternal love. Calvin, defending the Reformation against the Roman Church, and following Augustine in this distinction, said, “As to their charge of heresy and schism, because we preach a different doctrine, and submit not to their laws, and meet apart from them for Prayer, Baptism, the administration of the Supper, and other sacred rites, it is indeed a very serious accusation, but one which needs not a long and laboured defence. The name of heretics and schismatics is applied to those who, by dissenting from the Church, destroy its communion. This communion is held together by two chains, viz. consent in sound doctrine and brotherly charity. Hence the distinction which Augustine makes between heretics and schismatics is, that the former corrupt the purity of the faith by false dogmas, whereas the latter sometimes, even while holding the same faith, break the bond of union (August. Lib. Quæst. in Evang. Mt.). But the thing to be observed is, that this union of charity so depends on unity of faith, as to have in it its beginning, its end, in fine, its only rule. Let us therefore remember, that whenever ecclesiastical unity is commended to us, the thing required is, that while our minds consent in Christ, our wills also be united together by mutual good-will in Christ. Accordingly Paul, when he exhorts us to it, takes for his fundamental principle that there is one God, one faith, one baptism (Eph. 4:5). Nay, when he tells us to be of one accord, of one mind, he immediately adds, Let this mind be in you which was also in Christ Jesus (Phil. 2:2, 5); intimating, that where the word of the Lord is not, it is not a union of believers, but a faction of the ungodly.” Calvin says this same thing when he defines the difference between heresy and schism in his commentary on 1 Corinthians, “Heresy they made to consist in disagreement as to doctrine, and schism, on the contrary, in alienation of affection, as when any one withdrew from the Church from envy, or from dislike of the pastors, or from ill nature.” Thus, one who is schismatic is still part of the “true religion” where the heretic is adverse to sound doctrine and not part of the true religion. With all of this said as a brief overview of the discussion at hand, certain summaries may be made. First, the esse of the visible church surrounds all those who profess the true religion. This true religion is covered in the marks of a biblical church in 1) sound doctrine (which is explained in our Standards), 2) right administration of the sacraments, and 3) right administration of church censure and discipline. Secondly, external organization of the one visible church appeals to its bene esse, not its esse. The Divine Right of Church Government falls into this category, not into the category of the essence of the church. Thirdly, false governmental structures are sinful and wicked, and disturb the peace of the church (its well being), not the essence of the church (its esse). Fourthly, ministerial succession, lawful ordination, and Presbyterian Church Government fall under the bene esse of the church, and its well ordering – not its actual existence – which rests on Christ alone through the power of the Holy Spirit. 2 Corinthians 13:14, “The grace of the Lord Jesus Christ, and the love of God, and the communion of the Holy Spirit be with you all. Amen.” Fifthly, all forms of church governing and external organization that do not fall into the single Divine Right of Church Government are schismatic, evil, sinful, should not be tolerated on any level, and corrupt the well being of the church. In this case, and against the Reformation and Westminster Confession of Faith, Independency is the advancement of anarchy, and is not suitable to the well ordering of Christ’ Divine Right of Church Government which is coercive government and not merely suggestive government. For a full treatment of Church Government from a Presbyterian point of view, see Jus Divinum: Divine Right of Church Government written by the London Ministers of the Westminster Assembly, and available at Naphtali Press. The Westminster Confession of Faith, Chapter XXV, Of the Church (25:4). Westminster Confession of Faith 25:2. Reformed Presbyterian Church General Assembly, Book of Church Order, B 2:1. Jus Divinum Ministerii Evangelici (London: Published by the Provincial Synod of London; Printed for G. Latham, F. Rothwell, S. Gellibrad, T. Underhill and F. Cranford, 1654) 263-264. Jus Divinum RegiminisEcclesiastici, (Dallas, Naphtali Press: 1995) 7. Daniel Cawdry, A Vindication of the Keyes of the Kingdome of Heaven into the hands of the right Owners, unpublished manuscript, 14. Various writers penned such works as John Vicars’ The Schismatic Sifted (Paul’s Church Yard, London: 1646); Matthew Newcomen’s The Duty of Such as Would Walk Worthy of the Gospel (G.M., London: 1646); Holdisworth’s The Late Schismatical Petition for a Diabolical Toleration of Several Religions Expounded (np, London: 1649); George Gillespie’s Propositions Concerning the Ministry and Government of the Church, (Evan Tyler, Edinburgh: 1647); and other like documents. Such men as Thomas Edwards, Thomas Carwright, Richard Byfield, Daniel Cawdry, John Ball, and Robert Baylie took great pains to write extensively on this subject. Samuel Rutherford, The Due Right of Presbyteries, or A Peaceable and Temperate Plea for Government of the Church of Scotland (E. Griffin, London: 1644) 185. Augustine, Questions on the Gospel According to Matthew 11. 1-2 (MPL 35. 1367 f.). Cf. Peter Martyr Vermigli, Loci communes IV. 6. 33 (Latin, 1576, p. 80x; English, 1583, IV. 86). John, Calvin, Commentary, Corinthians, 1 Cor. 11:19.